Sew Much Love, Mary: 2017 Scrap Busting Craft Challenge: July "DIY Criss Cross T-Shirt"
2017 Scrap Busting Craft Challenge: July "DIY Criss Cross T-Shirt"
Can I just start off by saying that I can't believe that the last time I posted on my blog was for last month's Craft Challenge? *insert wide eyed emoji here* I actually have projects ready to be posted, but haven't been able to schedule photo shoot time. It's crazy how fast the weeks pass by. Summer is going by way too quickly! Now on to the Craft Challenge! 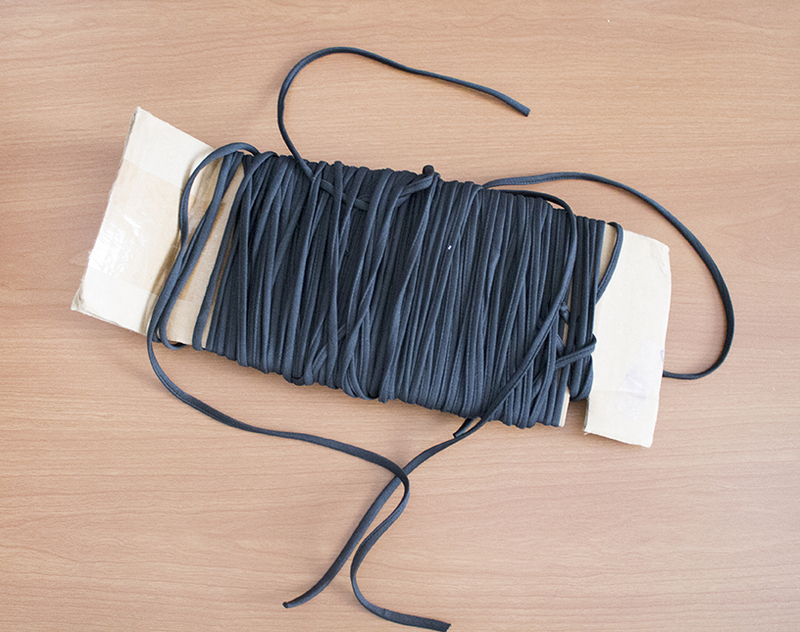 For this month, I decided to use spaghetti strap trim. I got this during my time at FIDM and never used it. I found some for sale online and it's a good price. Here is the link. 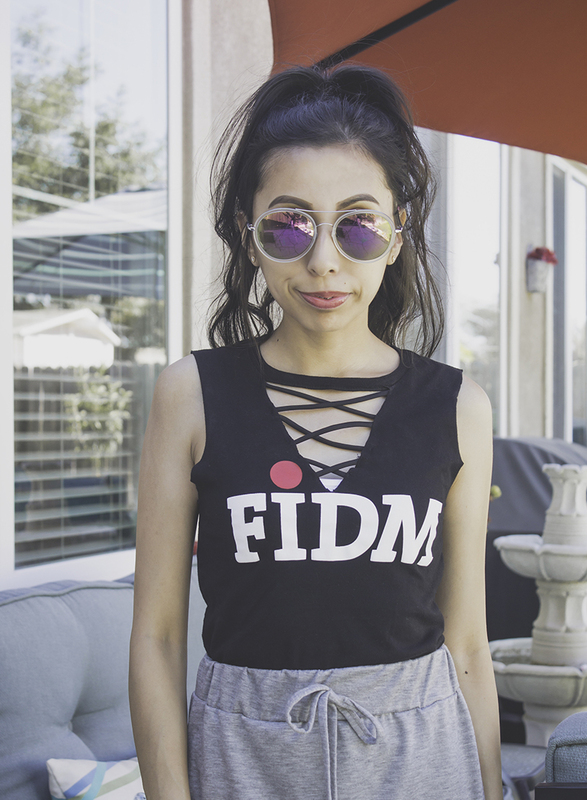 Lately, I've been seeing criss cross tees everywhere so I decided to make my own. 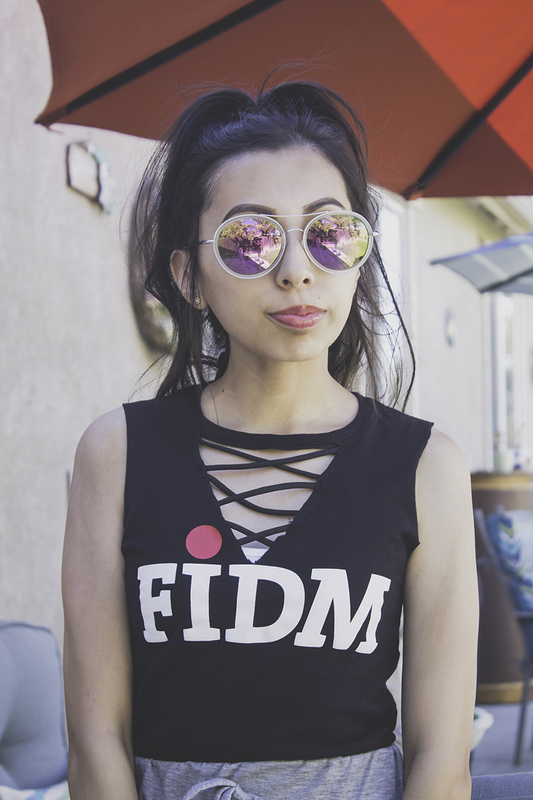 I used an old FIDM tee to match the black spaghetti strap trim. 1. I cut out a "V" in the front. I left the neckline binding though. 2. 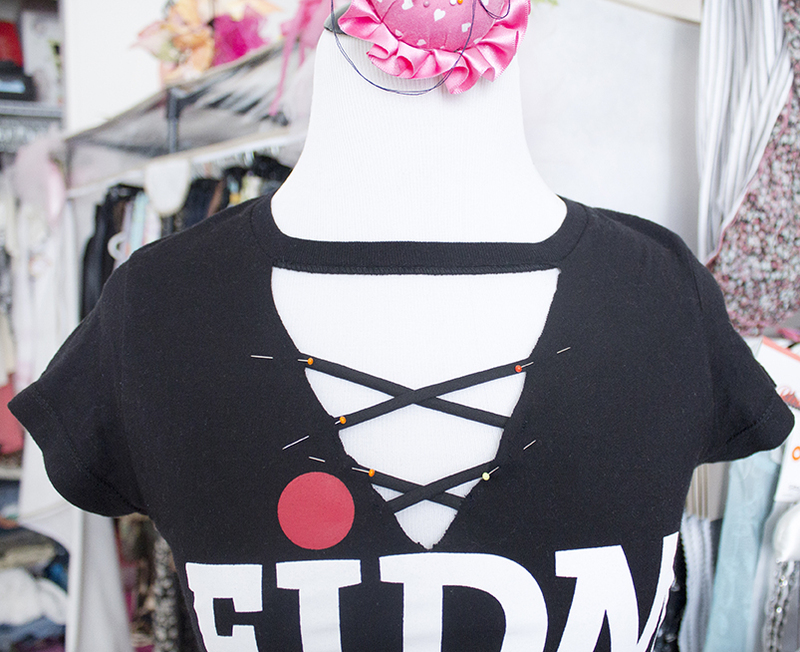 I cut out some pieces of the spaghetti strap trim and pinned on the "V" of the shirt, as shown. 3. Then, I sewed the pieces on. I decided to add one more row of the criss cross straps. I like your hair like that. The top is cute too. I love this refashion. 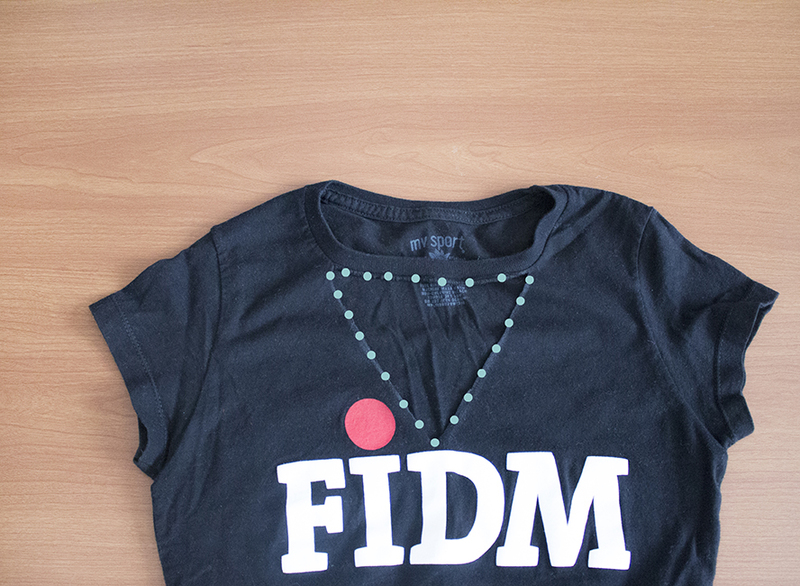 Nothing better than a good t-shirt makeover. If you don't have spaghetti strap trim (which I didn't even know existed so than you for that info) you could use thin strips cut from the sleeves of the t-shirt, then pull them so the long edges curl up.